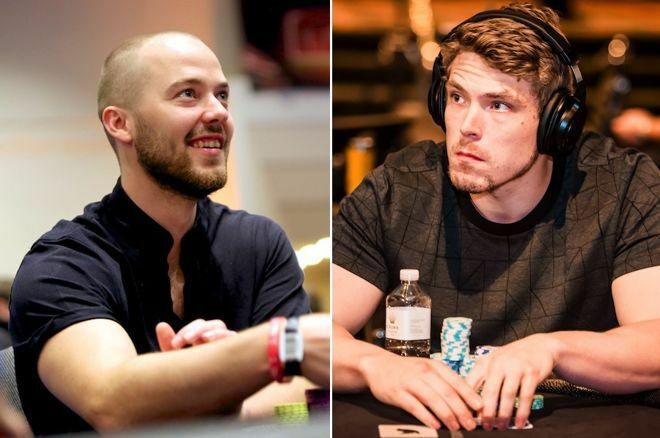 Global Poker Index: Sean Winter leads 2019 POY; Alex Foxen has led overall rankings for half a year. Make it 26 straight wks. at No. 1 for Alex Foxen in overall @GPI rankings; Sean Winter tops POY race. Each week, the Global Poker Index releases a list of the top tournament poker players in the world using a formula that takes into account a player's results over six half-year periods. For a look at the entire list, visit the official GPI website. Below we look at the 2019 Player of the Year race and overall GPI rankings as of April 3. Since we last looked in on the 2019 Global Poker Index Player of the Year race a month ago, the tippy-top of the rankings has remained essentially unchanged. Sean Winter still leads the way, having now been at No. 1 for the last seven weeks running. Meanwhile Bryn Kenney (No. 2) and Rainer Kempe (No. 3) have switched positions since the start of March, with both only a single deep run away from catching the leader. Meanwhile the rest of the current POY Top 10 has changed considerably. Joseph Cheong started March at No. 25, but is now No. 4 after picking up three cashes including a victory in a $3,000 event in the The Wynn Classic. Ariel Celestino has also recently made a big upward move, with his victory in a partypoker MILLIONS South America event and other cashes helping him elevate from just outside the top 50 six weeks ago all of the way to No. 5. Rounding out the current list is David Peters, winner of the 2016 GPI Player of the Year, who has been in the Top 10 for each of the last six weeks. Looking just outside of the Top 10, David "Chino" Rheem (No. 11) and Jack Salter (No. 12) are closest to Peters, with Ankush Mandavia having jumped up to No. 13 from No. 53 last week after ending the month picking up more cashes in Las Vegas events. Turning to the overall rankings, there is less to report as the top of the list looks largely as they did a month ago. Alex Foxen continues to keep his hold on the top spot, now having been ranked as the No. 1 tournament player in the world for half a year now — 26 straight weeks. Stephen Chidwick is still No. 2 as well, having closed the gap with Foxen a bit over the last four weeks. Both Peters and Kempe are still Nos. 3 and 4, respectively, just as they were a month ago. There has been only minor shuffling among the others in the current Top 10, with Michael Soyza (No. 10) the only new name on the list following his victory in a HK$500,000 event in the Triton Poker Super High Roller Series in early March.